No longer will your engineer have to sit for hours each week writing bills of material (BOMs). With Global Shop Solutions CAD Interface, give them back time to do the things that matter to your business and affect your bottom line. Engineering can seamlessly import the dynamic bill of material (BOM) into Global Shop Solutions ERP software from your CAD software removing the task of manual data entry. Through our fully-integrated system, your engineer is then able to use the imported BOM to compare to the material and inventory located in your ERP software to make certain each job has the needed material to complete on time and on budget. Available on premise and in the cloud. 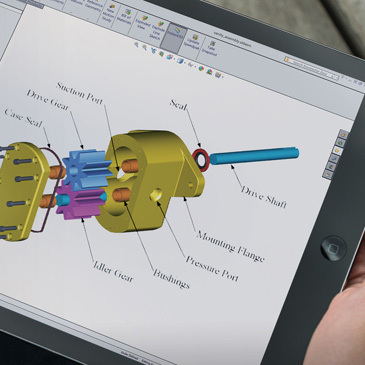 Global Shop Solutions CAD Interface flawlessly integrates with SolidWorks®, Solid Edge™ and Autodesk Inventor®. We also offer integration opportunities with AutoCAD®, SketchUp®, and most CAD programs. 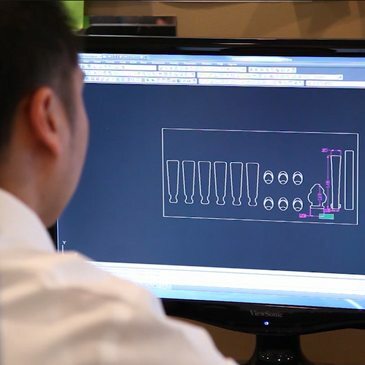 This integration allows you to marry your CAD designs to your manufacturing – simplifying and expediting this once time-consuming process. Engineering time is valuable and expensive. With CAD Interface, you cut out the time-consuming and error-prone data entry of re-creating BOMs within your ERP software. Now with a few clicks, your team can import the dynamic BOM from your CAD software into your ERP system – saving you thousands of dollars a year. In this fast paced world, getting data to your shop floor faster is critical to getting your product out the door on time. With CAD Interface, the BOM is now in your ERP system and pushed to the shop floor faster – helping you avoid costly delays. What is a BOM and Why is it Important? A bill of material or BOM is a list of all manufactured and raw material needed to build an assembly of more than one manufactured part.